Berlin, Md. 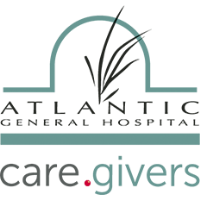 – To celebrate the hospital’s growth and the community support that has made it possible, the Atlantic General Hospital Foundation will be holding their 26th Anniversary Celebration on Thursday, May 16th. Hosted at the waterfront home of Hugh & JL Cropper in Berlin, the theme for the evening highlights the Croppers’ passion for offshore fishing with guests wearing cocktail attire. Features of the outdoor event include an abundance of sophisticated hors d'oeuvres catered by Fork and Flask - a part of La Vida Hospitality, an array of stylish cocktails provided by locals’ favorites, and live music by Lyl Harper and Panama Rex for your listening and dancing pleasure. This is a very special event and a time when we come together to celebrate the hospital that the community helped create twenty-six years ago. Margaret Warfield & Family in memory of Robert E Warfield, Sr. Event Sponsorships and Admissions can be purchased by texting AGH26 to 41444 or by visiting www.atlanticgeneral.org/anniversary. At Hugh & JL Cropper’s home in Berlin, Md. 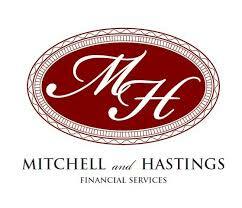 A special thank you to Anniversary Celebration Committee Co-Chairs Emily Tunis and Sara Hambury for their tremendous leadership and unwavering commitment to coordinating what is sure to be another unforgettable event, celebrating the phenomenal hospital that we, as a community, built 26 years ago.